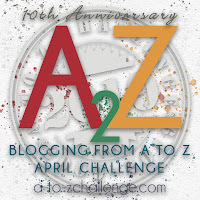 I'm a little late to this party, but I just learned about the Deja Vu blogfest today. It's a fantastic idea. Organized by DL Hammons and Nicole Zoltack, a group of bloggers are republishing a favorite post from 2014. What a great way to catch up on all the great blogposts you missed this year! Please follow the link and visit some of the blogs. So, here's mine from February, 2014. A nice little piece that made me happy to write: An Autobiography in Cars. My mother tells me that the first car she drove when I was a baby was a '62 Dodge Dart, but I don't remember that car, not even from pictures. The first one I remember was her '66 Oldsmobile Cutlass. I thought it was beautiful, and she was beautiful. When I grew up I was going to be tall and blond and beautiful and drive a red fancy car like my mother. (I'm medium sized, brunette and drive a black SUV . . . so 0 for 3, I'm afraid). After that car, Mom drove a series of utterly unmemorable Honda Civics, each one interchangeable with the one it replaced. But given the miles we covered with dance classes, band competitions, and tennis matches, it was probably good that she went with cars that got good mileage. The other vehicles I remember from childhood are all trucks. 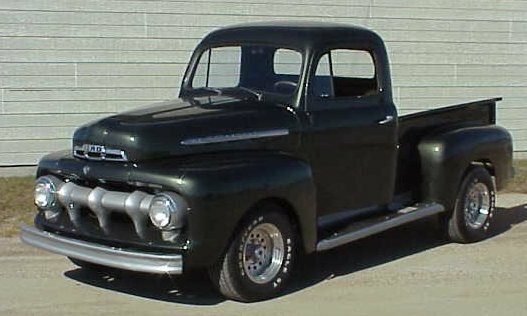 There was my grandfather's truck, a '52 Ford. What I remember best about it is the really wide flat running boards. I was a skinny kid. When I played hide and seek with my cousins, I could hide in one of those running boards and cling to the side of the truck. If I timed it well, I could keep moving from one side of the truck to the other without being seen by the other kids. My dad had a truck we called El Porco, because of the amount of gas he consumed. I can't explain why the truck had a Spanglish name. My sister and I thought he was awesome, though. He was big and tough and strong, and had little fold down seats behind Mom and Dad's seats for us. After El Porco, Dad had a series of Toyota trucks, mostly red, mostly interchangeable with the one that came before just like Mom's Hondas. Though, there was one that got dolled up by an uncle who was into body work and perhaps a little stuck in the '70s. It looked like they had won it at the fair. It was blue with sparkles in the paint and had an airbrush-looking window that had my parents names in a heart, like a teeshirt bought at a beach vacation. I was just old enough to find this mildly embarrassing, and redneck enough to imagine someday having such a thing myself. After that, we get into my own cars. My first one was a red Honda Civic that I called Gertrude. My mom always said it was a glorified roller-skate. True, Gertrude wasn't powerful, but she never let me down, and, for her size, she held an incredible number of my friends on the way to King's Island Amusement Park. Certainly more than the legal limit. Gertrude went to college with me, but was replaced by something a little newer and arguably better in my sophomore year. Etsuyo was a grey Honda Accord. I never took to her, though she served me well. I let the then-husband (yes, I married stupid-young; that's part of why it didn't last) name the car. He named her after a girl from Japan he had known. Thinking back on things, that was probably a bad sign. After that came my Alaskan adventure. Dad helped me find the perfect truck. Of all the vehicles I have ever owned, this might be my heart's wheels. His name was Beauregard, Beau for short. He was a '77 Sierra Grande GMC truck (which made him only a few years younger than me). He had 6 cylinders, and 3 on the tree. I felt like such a gearhead for knowing things like that about him, and, believe me, I am not a gearhead. When I looked in his old and simply designed motor lacking any computer-based parts, I understood what some of the parts were, and even replaced some of them myself, standing on his bumper to be able to see into the cavernous engine area. It was an empowering feeling. Beau held all my wordly possessions (books and clothes, mostly--you should have seen the guy's face when we crossed the Canadian border) and I drove him to Kodiak, Alaska with two college friends. We took turns sleeping in the back in a sort of bunk on top of all my tubs of books. He explored that island with me and moved with me to the mainland a couple of years later. Beau died saving the life of my then-husband in a winter-roads car accident that surely would have killed the man if the vehicle in question had been a modern chunk of plastic instead of an old piece of metal. Beau had an honorable death, and I still miss him. Beau was replaced by a Mazda truck that I never liked as well, but got good mileage out of. I didn't name her, but knew she was female. The Mazda had belonged to a friend named Marcia, and it was one of those help each other things. She needed to sell it due to a change in her marital circumstances; we needed wheels. The Mazda was the truck that I explored mainland Alaska in, with my German Shepherd/Husky mix dog, Häagendog. When I moved to Nome, it would've cost too much to take the Mazda, so, instead, I took it on a cross country trip with my mother. We traveled the Alcan down into the Dakotas, then went to Yellowstone, and eventually brought the truck to Kentucky, where an uncle took her over and drove her until she literally broke in half. He said that she smelled of my dog for the rest of her life. I arrived in Nome with no wheels, so the principal at the school gave me an old Ford Bronco he had to beat around in. It was really beat up. Only one door opened, the windshield was cracked, and the seats were torn and covered in towels, but at least I didn't have to worry about whether he'd be upset at me for damaging it with muddy footprints and the smell of a dog who rolled in dead Walrus. After a few months, I was able to get a Suzuki Sidekick. It was cute, and we set it up with a gate to keep the dog in the back section, away from the child, when he ate a moose leg he found somewhere. The Sidekick served us well for a few years, though getting body work done in rural Alaska is interesting. The then-husband backed the car into a telephone pole one sleepy morning. They had to fly in a new back door from Anchorage, so it took a while. Luckily, it was summer. When we left Alaska in a last-ditch effort to save the marriage, we moved to Kansas. As part of the compensation package, I got a beautiful old house and the newest car I'd ever had: a 2000 New Volkswagen Bug. (I had to part with both when I parted with the husband, but they were nice while they lasted). The Bug was Kermit green. Darn it was cute. We called it the Bubble Car and the little one and I drove it to every zoo, farm, apple orchard and other kid-pleasing thing in the whole darn state. There are an inordinate number of small zoos in Kansas, by the way. The seats flipped up and I could stand inside the back of the car when getting the kiddo in and out of her carseat. The seats were also leather and heated. I felt spoiled as heck. I got a speeding ticket or two in it, too, because that thing had zip. That, and hay trucks make me impatient. The divorce car was another Honda Accord. It had been my sister's. It was another help each other car. She was moving to Hawaii and needed to get rid of her car. I needed a car. It was a perfectly reliable and serviceable car. I never liked it. I don't miss it, but I was grateful for its years of service. One of my uncles has it now--the same uncle who took the Mazda. I wonder if it smells like our new dog. Now, I drive Duncan. He's a Toyota Highlander, hence the name. He's posh, with heated seats and such, like the Bug was. But he feels like a truck, like Beau. I like him so much that my now-and-forever-husband is jealous of him. I think I'll keep him as long as he runs (that's the car . . . and the husband). Thanks. There's something about Americans and their cars, isn't there? Love those early vehicles. I'm still fond of the old models of anything. Must have to do with my advancing age. BTW, you're not as late as I am. I won't post until Monday. Stop by. Say hi. I would happily drive something like my grandfather's old truck, if I had the mechanical skill or the money to keep it going. I don't even mind the rough ride--those things had personality! how cute is Kermit? Love these. Thanks so much. He was adorable, wasn't he? Your post is full of chuckles and giggles! And I love the fact that your husband is jealous of your truck now. Good! Keep it that way! Thanks so much. I did check out your post and feel you on that love affair with your first car. It's funny how cars can be so personal and connect us to our past. I really enjoyed reading this. Thank you! So nice to "meet" you. I'm showing my daughter, also a strat player, your blog! Those old cars seemed to have a lot of personality. I enjoyed reading this post. Thanks Suzanne! I hope your holidays were lovely, too.